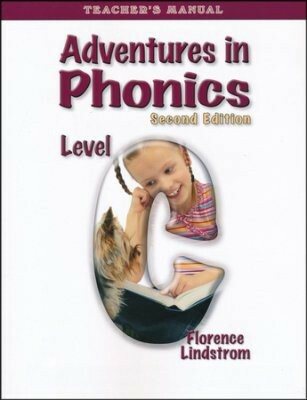 This teacher's manual is designed to be used with the Adventures in Phonics Level C Student Workbook (sold-separately). Arranged by student page number, notes for four lessons are provided in columns on each two-page spread. At the bottom of the page, each student page is reproduced (reduced-size) with the correct answers overlaid; above the reproduction, lesson notes for the teacher are provided. The main purpose is given, and simple notes give teachers tips, practice ideas, and notes on when to complete assignments. 92 pages, softcover. Grade 2.